What a year: Nick Riewoldt wound the clock back in 2016. 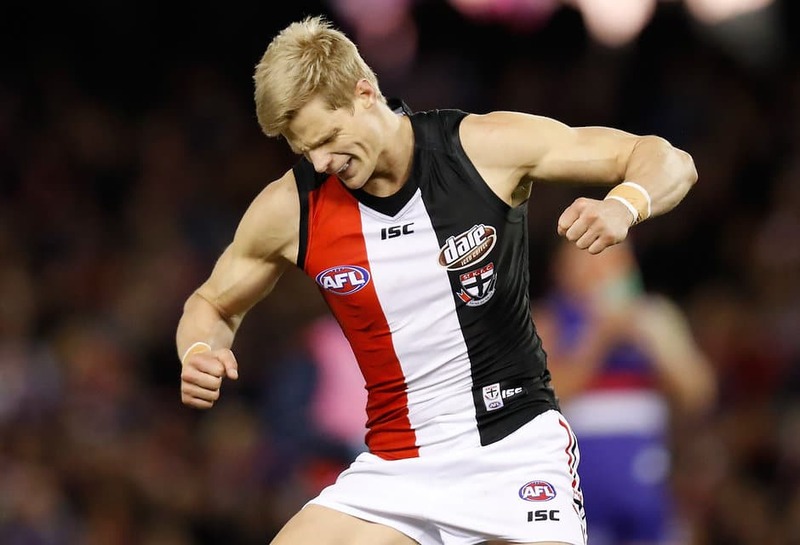 The All Australian selectors may not have found room for Nick Riewoldt in their 40-man squad, but the AFL Coaches Association has named the St Kilda Captain in their 2016 team. Playing predominantly on a wing this season, Riewoldt averaged career-highs for disposals (20.8), uncontested possessions (15.9) and marks (10.6). He had 49 more marks than any other player in the home and away season, posting an incredible 222 across 21 games. The AFLCA’s team is determined by a group of the Association’s Opposition Analysts, using the highest vote-getters in the 2016 AFLCA Champion Player of the Year Award, which was won by Geelong midfielder, Patrick Dangerfield. 18 members of the team were shortlisted in the All Australian squad, with Riewoldt one of four outliers, which also included Hawthorn defender Josh Gibson, North Melbourne ruckman Todd Goldstein and Port Adelaide midfielder Robbie Gray. Geelong skipper Joel Selwood was named as captain due to the star midfielder polling the most votes of any club captain in the competition. Riewoldt, Collingwood midfielder Scott Pendlebury and Greater Western Sydney midfielder Callan Ward were the other club captains included in the 22.